For this project, I designed a series of postcards, using my own photographs of Korea, and letter-pressed the type on the back of the cards. 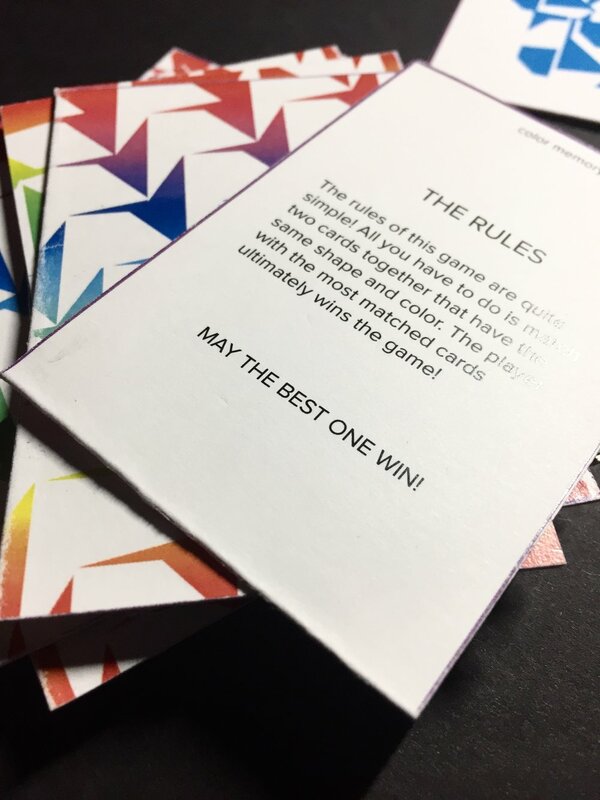 This was based on a simple concept of using color and shapes to create a fun game of memory card-matching. I designed the shapes by manipulating letters to the point of becoming abstract shapes and then put them together to create even more unique patterns.